On the American-Canadian border, inside a renovated grain warehouse located at the beginning of Route 1 you’ll find First Mile Brewing Co. Using a 4-barrel brewing system and 8 taps we produce a wide range of beer styles for a “something for everyone” approach. A rustic-industrial styled tasting room is finished using reclaimed hardwood from the basement grain bins. If you’re ever in “The County,” drop in and check us out. Hang out in our tap room or take a few growlers to go. 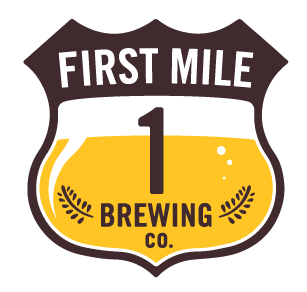 Our beer line-up changes almost weekly, so check out our Facebook page ‘First Mile Brewing Co.’ for the latest updates. You can bring food or order off the menus from the local restaurants that deliver. Great snowmobile, ATV and hiking trail access. Boating, Kayaking and canoeing on the St.john River, Allagash River, Long Lake, Cross Lake and Eagle Lake within miles.